Milwaukee offers a multitude of fantastic restaurants and a select few excel in the romance department. An intimate ambiance, delectable dishes and a vast wine list make these restaurants some of the most romantic in Milwaukee. Wine and dine your special someone at one of these romantic establishments to experience what each has to offer. 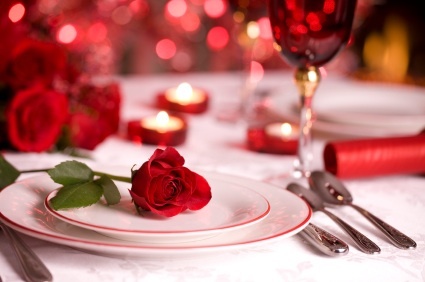 Crazy Water is the perfect place for an elegant, romantic dinner with your special someone. This cozy establishment is located in Walker’s Point. Crazy Water has a tiny kitchen but is serving up big, bold flavors, utilizing local and organic ingredients. Soft lighting, intimate tables and the eclectic vintage decor create the perfect atmosphere for a charming dinner. Centro Cafe is a cozy Italian inspired restaurant nestled in the heart of Riverwest. This quaint restaurant has a unique open kitchen which allows the guests and chefs to interact. Intimate tables and a “glowing” atmosphere makes Centro Cafe one of the most romantic restaurants in Milwaukee. Tess, a charming East Side restaurant was named one of Milwaukee’s most romantic places to dine. Tess offers a casual, intimate atmosphere, while serving a variety of delicious dishes created with local and seasonal products. An extensive wine and beer list complements each meal perfectly and contributes to the romantic ambiance. Bartolotta’s Lake Park Bistro is a four-star, fine dining restaurant. This elegant and classy restaurant focuses on authentic French cuisine. Tables overlooking Lake Michigan offer a romantic atmosphere and a fantastic view. The elevated fine dining has made Lake Park Bistro one of the most romantic restaurants in Milwaukee. Casablanca, the name says it all. Not only is Casablanca a romantic classic film but it is one of Milwaukee’s most romantic restaurants. Located on Brady Street, Casablanca has an elegant, intimate Mediterranean atmosphere, perfect for couples. Casablanca has been serving delicious authentic Middle Eastern cuisine for over 30 years. Through the atmosphere and cuisine, Casablanca creates a unique dining experience. Happy Valentine’s Day from the Hotel of the Arts Days Inn & Suites! New Year’s is a fresh start. An optimistic time to create an amazing year. Many of us decide to make our lifestyles more healthy and happy, but accomplishing these goals can be difficult. It’s not too late to start a resolution or to continue working on the one you already started. Here are some helpful tips to guide your resolutions and to fulfill your goals. One of the best ways to stay motivated to meet your resolution goals is to reward yourself. Rewards help you to move forward because you feel better about your progress and it makes your success more likely. Rewards should be something that doesn’t contradict your resolution. If you are trying to eat healthier, go shopping with a friend for some new clothes. Having a positive mindset when starting a new challenge is a necessity. In order to accomplish your new year goals you must keep a positive attitude. Negative thoughts will only make your resolution harder to accomplish and may even lead you to quit early. Positive thinking propels you forward and keeps you motivated to see your resolution through. Choose resolutions that make sense for you. Don’t try to accomplish too many resolutions. Pick 1-2 resolutions that you want to accomplish. Concentrating on only a few resolutions helps to focus your efforts so you can meet your goals. Whether you are trying to eat healthier, go to the gym, or save money… be accountable. Keep track of your progress. Write down your accomplishments everyday. Logging what you do each day will help you to visualize your progress and will provide additional motivation for you, and inspire you to pursue your goals. The New Year is a time for fun so your resolutions should be just as fun. Resolutions do not have to be a dreary negative thing that you need to overcome, look at it as something positive that you want to do for you. Resolutions are often more fun with a buddy or friend. Choose someone that has the same aspirations as you, someone you have fun with. Working on a resolution with a buddy helps to motivate both of you and provides a fun competitive atmosphere, it will help keep you accountable and make you more likely to reach your goals. Hopefully these tips will help you to stay on track with your New Year’s resolutions. Happy New Year from the Hotel of the Arts Days Inn & Suites! Thanksgiving heads up the beginning of the holiday season. Many of us feast with our families and friends, catch up, watch some football and get ready for the shopping event of the year, Black Friday. But if you are looking for something else to do Thanksgiving night, or if your guests are staying through the weekend, we have some delightful holiday traditions for you to get in on. After the big feast, consider checking out some of the best holiday lights in Milwaukee. At Pere Marquette Park enjoy the “Electric Elves”. Zeidler Union Square is home to the “Musical Bears”. Cathedral Square Park is another location with great holiday lights. Milwaukee school students dress evergreen trees with handmade ornaments. Also, seventeen intersections along Wisconsin Avenue have gorgeous chandeliers that will be lit up for the holidays.Keep in mind, the Hotel of the Arts Days Inn and Suites free downtown shuttle travels to many of these locations, get more information from the front desk! The Jingle Bell Bus is a great way to see the lights if you are not familiar with Milwaukee. The bus costs one dollar and takes you for a forty-five minute narrated ride through the holiday lights. Candy Cane Lane is a tradition for many folks in Milwaukee. Over three hundred homes participate in the amazing Christmas lights display along Oklahoma Avenue in West Allis. Candy Cane Lane is open to visitors at no charge, November 29 through December 27, 6-9PM on weekdays and 5-9PM on Saturdays and Sundays. Take your family and friends for a stroll down Candy Cane Lane this holiday season. Thinking about spending time indoors, consider going to see A Christmas Carol at the Milwaukee Repertory Theater. The holiday classic comes alive on stage with great music and performers. The show runs November 27 through December 24. Lighting of the great humpback whale skeleton at the Milwaukee Public Museum is another unique event to start your holiday season. The lighting of the whale is a great alternative to the hustle and bustle of Black Friday shopping. The whale will be lit at 11:30 Friday, November 29 and is free with your admission to the museum. These are some of the great holiday traditions Milwaukee holds and we hope you that you get a chance to explore some of them! The Hotel of the Arts wishes you all a Happy Thanksgiving and a wonderful holiday season. Have family coming into town? Give us a call and we will make sure to extend the holiday spirit with some great deals – Contact Us! Milwaukee is a bustling city with many fun activities to experience. Many of these activities are great places to take children. We have picked a few popular places that are both educational, and loads of fun for you and your children. The Mitchell Park Conservatory Domes are a great place to take children. The domes are certainly part learning environment, and part wonderland. Designed by local architect Donald Grieb, the domes took seven years to be built, being completed in 1967. There are three domes, the Desert Dome, the Tropical Dome and the Floral Show Dome. The Desert Dome takes you on a journey to the deserts of Africa, Madagascar, South America and North America. In these biomes, you will observe a variety of desert plants, including an extensive collection of cacti. The Tropical Dome contains a vast number of tropical plants and birds from all over the world. The Floral Dome is a vibrant, colorful garden, that has five different themes that change throughout the year. Touring the Sprecher Brewing Company is a unique and fun learning experience for kids and adults. The Sprecher Brewing Company is exclusive to Milwaukee, which makes this experience that much more unique. The Sprecher Brewing Company was founded in 1985 by Randal Sprecher in Milwaukee, Wisconsin. Sprecher Brewing Company produces a variety of beers and their well known root beer soda, a kid favorite. Learn how the brewery works and of course sample some of the products! The Betty Brinn Children’s Museum is another amazing place to take kids. The museum is a hands-on and interactive learning experience. This non-profit organization opened in 1995 and encourages children to learn through fun experiments and activities. Explore the railway with a larger-than-life size toy engine! The Raceways and “On a Roll” exhibit demonstrates the principles of physics and gravity with fun experiments for the kids. Explore music, dance, theatre and much more in the “Artastic” exhibit. This exhibit allows children to utilize drums, chimes, televisions and puppets to express their artistic imaginations. Wine enthusiast’s taste buds are in for a treat in Milwaukee. Whether newly into wine or if you have always loved it, Milwaukee has a multitude of wine establishments to satisfy anyone’s perfect taste. So if you are looking for a classy night out or just a relaxing afternoon, check out some of the best Milwaukee wine boutiques. Thief Wine Shop and Bar located inside the Milwaukee Public Market and in Shorewood is a Boutique wine store and wine bar. They offer an “exceptional selection of distinctive and eclectic fine wines from around the world.” Their retail store offers many of these different wines for purchase and they offer daily specials. Balzac Wine Bar offers a variety of world class wines. They also offer wines on tap! The classy, relaxing, eclectic atmosphere, wine choices and scrumptious food create an experience one will not soon forget. 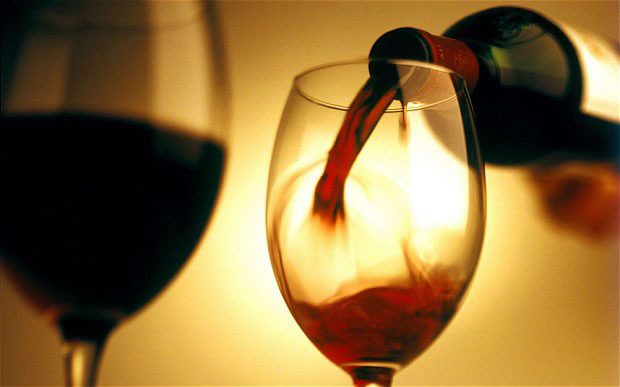 Vino 100 proudly offers 100 wines under $25. They have a diverse offering of wine, all of which is available for purchase. Looking to learn more about wine, you can reserve your spot in World Wine 101, Wednesdays and Saturdays to expand your knowledge of world wines. Vine 100 also offers private parties and an the opportunity to join an exclusive wine club. Bacchus located in the Cudahy Tower, is an elegant, stylish space. Bacchus provides over 800 varieties of wine in a range of prices. Along with their extensive wine list they also offer wine by the glass, where selections change daily. This location offers exquisite food and drink for any occasion. Milwaukee presents its fifth annual Wine and Dine Wisconsin 2013 event November 16 and 17 at the Wisconsin Center Milwaukee, WI. The event offers samples of over 150 wines and beers, along with samples of Wisconsin’s best artisanal food makers and Milwaukee’s favorite restaurants. This event is a great opportunity to learn about and to try many different styles of wine. Tickets are still available online and at the door. Check out Wine and Dine Wisconsin 2013 for more details. Enjoy all of these luxurious establishments with the convenience of the free shuttle that will chauffeur you to your favorite wine destination. The Hotel of the Arts has a free shuttle that will take you anywhere you need to go within a 2 mile radius. The shuttle is a great option to be responsible while drinking. Another great option if you feel like a relaxing night in is the hotel bar, where there is a variety of wines to choose from in the bottle or by the glass.